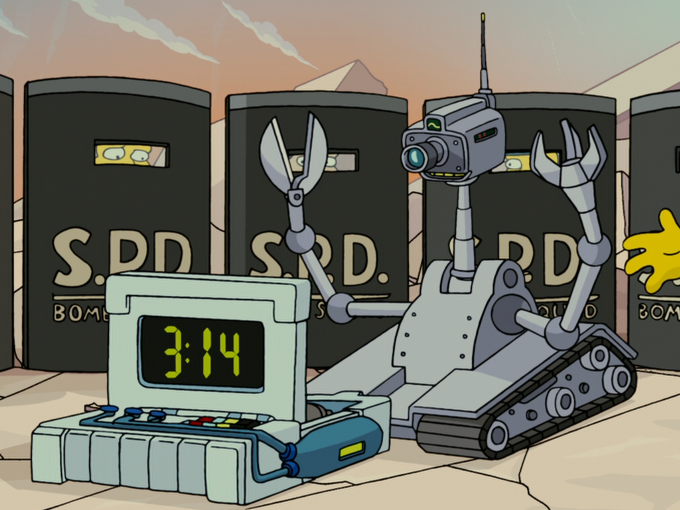 The bomb disarming robot was a bomb disarming robot used by the Springfield Police Department. The robot was designed to disarm the bomb in Springfield during the final stage of Trappuccino. It felt too much pressure and shot itself, destroying it. Modified on April 8, 2018, at 07:56.